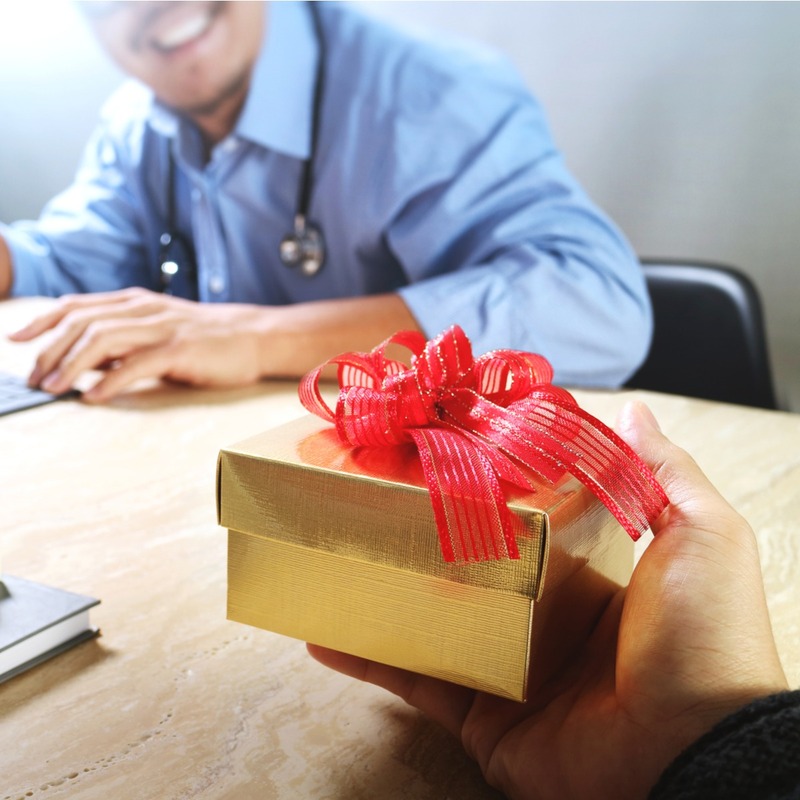 Here are a few gifts that your doctors, nurses and other medical professionals actually want to receive. 1. A nice hand lotion. Medical professionals are required to wash their hands frequently to prevent the spread of bacteria. However, all that hot water and soap can cause dry, rough and peeling hands. Your medical staff will appreciate a nice, portable, hand lotion that they can keep with them throughout the day to moisturize their skin. 2. A good pen with a light. Medical professionals have to do a lot of writing on the job, so a high-quality pen that will last for a long time is always appreciated. Especially one that doubles as a light for conducting exams! 3. A portable phone charger. Medical professionals work longer shifts than other workers, and so their phones are more likely to run out of battery. Plus, they’re always on their feet, so it’s difficult to stop and charge during work hours. A portable phone charger that allows your staff to charge on-the-go will be much appreciated! 4. A pair of compression socks. Compression socks can help with blood circulation and reduce swelling and discomfort in the legs. For a medical professionals who can sometimes be on their feet for over 12 hours each day, compression socks are a must. Your staff will appreciate a pair! 5. A uniform rental program. Your medical staff is likely very busy, and one way that you can take some work off their plate is by providing them with a uniform rental program. Not only will a uniform rental program ensure that your staff always looks their best and that their uniforms aren’t putting anyone at risk for cross-contamination, but your staff won’t have to worry about laundering and maintaining their uniforms. 6. A bonus or a raise. Let’s state the obvious. You can’t go wrong, if you can afford it, by giving your medical staff a bonus or even a raise for the holiday season. No matter what the industry, employees always appreciate some extra money during this expensive and stressful time of year. So, if you have a difficult time thinking of a gift that everyone will like, don’t be afraid to just write a check! We hope our list has been helpful, but we can help out your healthcare business even more with our medical linen and uniform rental services! Give yourself the gift of a reliable medical laundry rental service this holiday season. You can contact Unitex today by filling out our online form! Our medical laundry experts will supply you with a free quote.